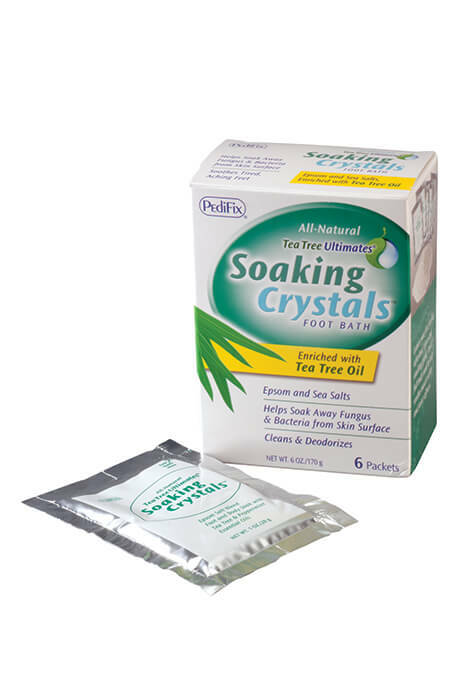 Exclusive blend of tea tree and peppermint oils refreshes, softens and soothes aching feet, or your entire body. Fungus-fighting ingredients relieve odor, itching and burning and smell great, too. Soaking formula includes Epsom and sea salt crystals. 6 packets, enough for 12 foot soaks or 6 full-body soaks.